I am not going to lie, I am pretty proud to still be in this challenge. I realise I could fluff it all up at any point and be completely out of it but so far I’m going strong. Yay me! I have so been looking forward to the rainbow prompt! I had so many ideas. Except….I couldn’t get one single idea to come out the way I wanted it to. I was this || close to sobbing when finally, something kinda worked. It wasn’t exactly what I wanted but after many days hours and temper tantrums, I’m taking what I can get 😉 Let me show you. I started with a coat of Sinful Colors – Snow me white as a base for the gradient. 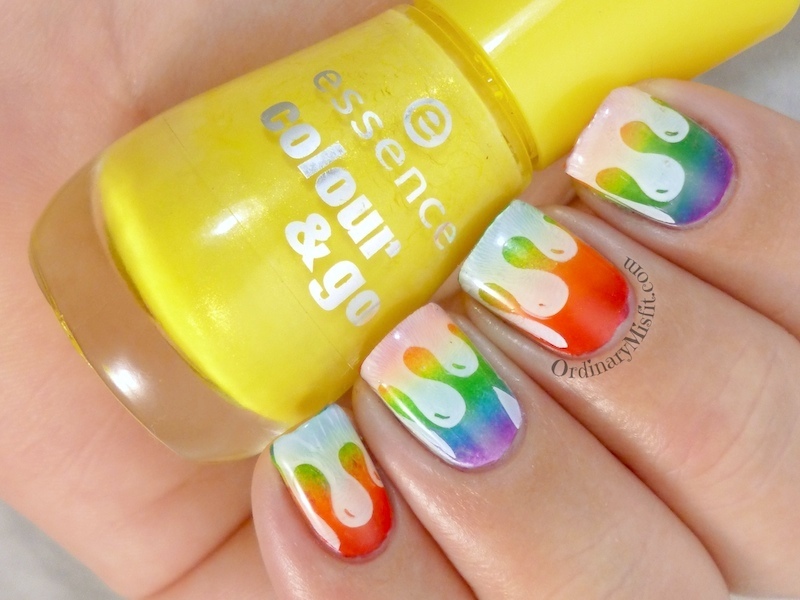 When that was dry I did a sponged rainbow gradient using 6 colours: Essence – Fame fatal, Essence – Flashy pumpkin, Essence – Wanna be your sunshine, Essence – Beijos de Brazil, Essence – Let’s get lost and Essence – Break through. I top coated to smooth out the gradient and when that was dry I added the drip stamp using BM405 and Essence stampy polish in white. 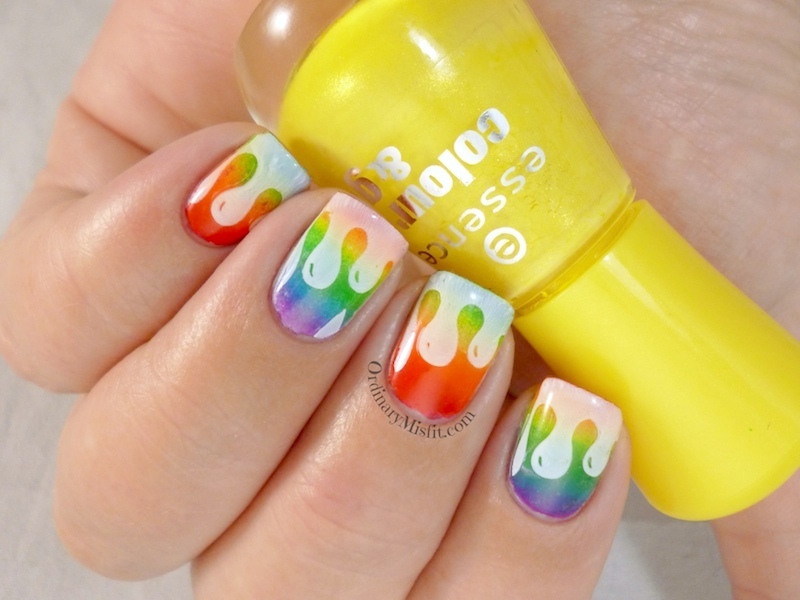 What do you think of my rainbow nails? For some strange reason I didn’t swatch the yellow – Essence – Wanna be your sunshine – but let me show you the other colours I used. This is 2 coats with no topcoat. 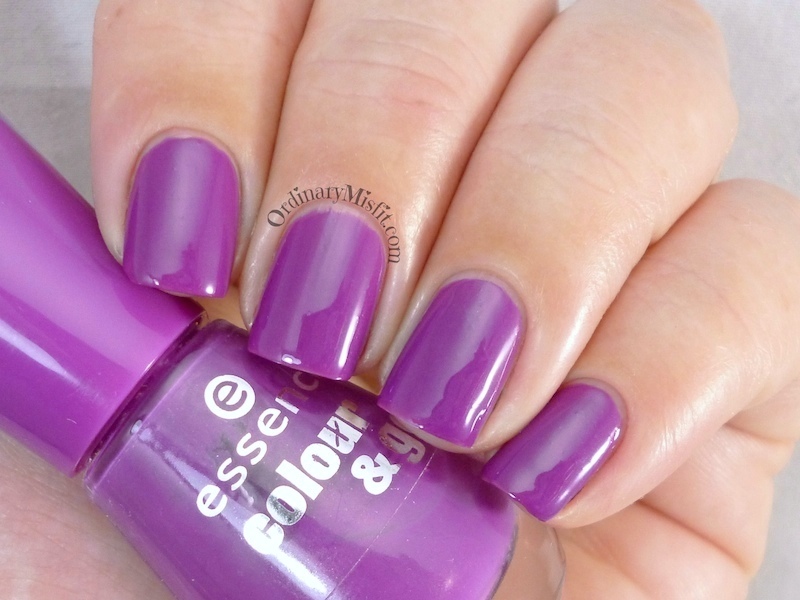 Beautiful purple creme with great opacity and formula. This is 2 coats with no topcoat. Blue creme. 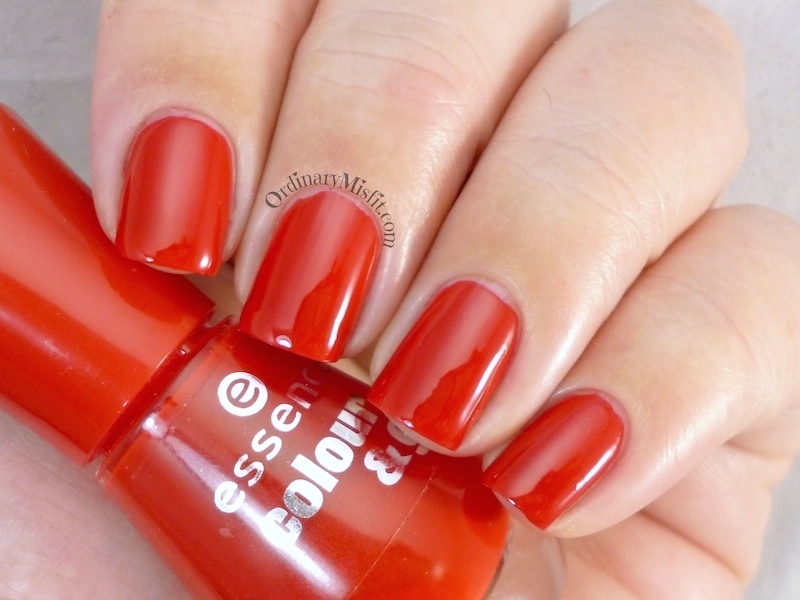 It has great opacity but is prone to bubbling if you’re not careful with the coats. Also, beware of staining. Definitely a double base coater. This is 2 coats with no topcoat. 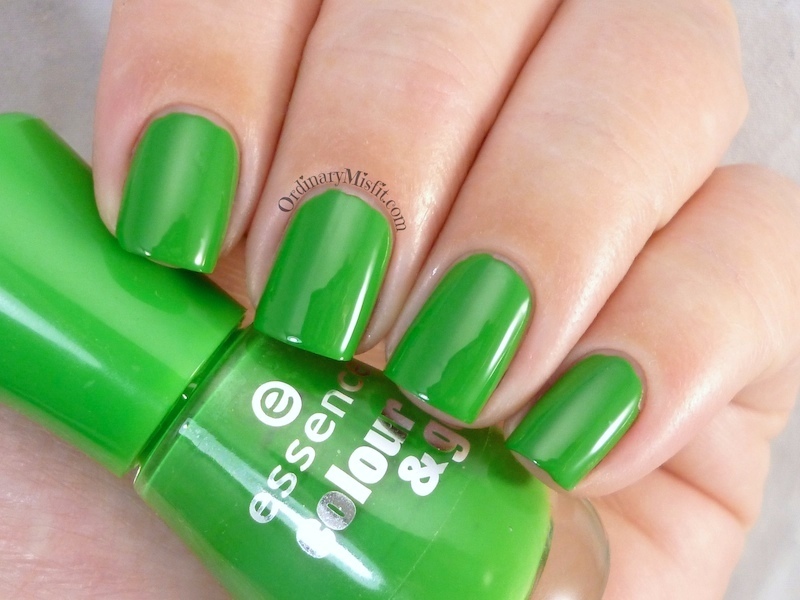 Bright green creme with a great formula and great opacity. This is 2 coats with no topcoat. I love this red creme so much. 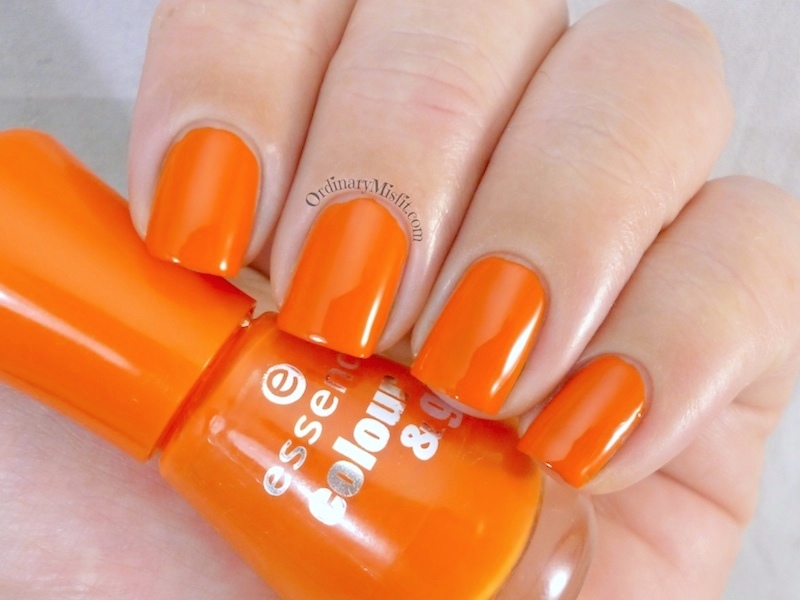 Great formula and opacity. What do you think? I am so looking forward to seeing other looks created for this prompt. Here is the poster with the prompts in case you want to follow along or even just to see what’s coming up. You can also check out other posts from todays prompt by checking out the Inlinkz goodie below or following the #31DC2014 on all social media platforms. Love it! I think this came out great. 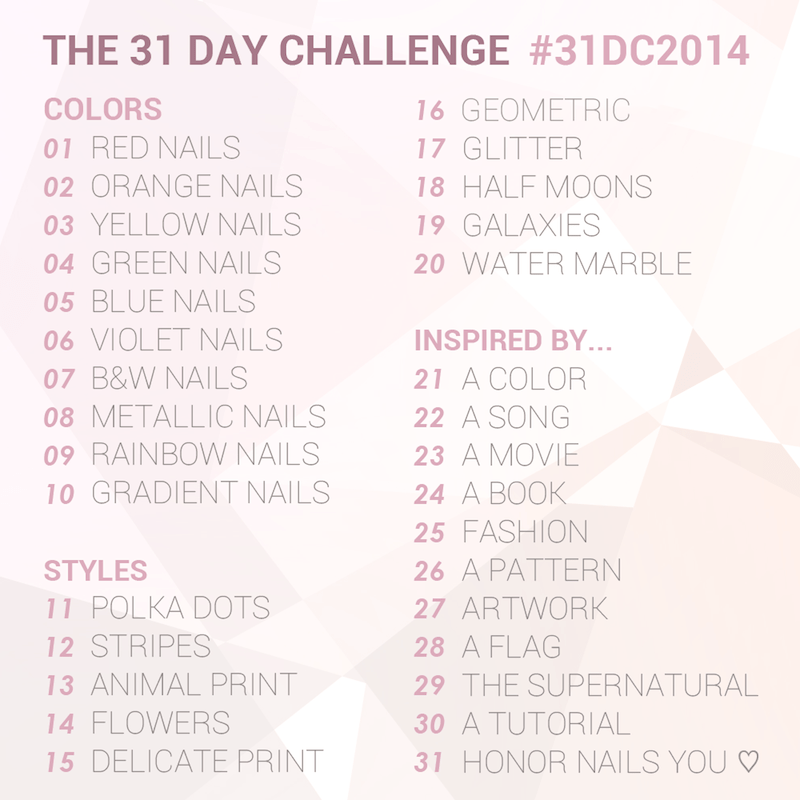 I’ve also been having trouble with this prompt so I actually still need to do today’s nails! Hahahaha I am actually surprised by how hard it was. It’s a very open ended prompt. You can do SO much with rainbow. Thanks so much! This looks so beautiful, I love your design. Love these! They turned out beautifully!! Well, trials and tribulations aside, I love it, and congrats on sticking with the challenge! I don’t know what you were originally planning, but these turned out adorable! So cute!